An Introduction... Exoplanets and the Size of the World! This page provides an introduction to the VT-2004 programme - it is based on the text that was published ahead of the event, but now reflects the situation at the end of 2004, at the end of this programme. On June 8, 2004, Venus - the Earth's sister planet - passed in front of the Sun as seen from the Earth. This very rare event (no living person had ever seen one!) lasted about 6 hours and was visible from most of Europe, Africa and Asia. It generated unprecedented attention from the media and the public, not just in these areas, but all over the world. This website describes the VT-2004 project that was related to this celestial event and which aimed at transforming curiosity into knowledge and interest in science through a broad set of actions. It was launched by the European Southern Observatory (ESO) and the European Association for Astronomy Education (EAAE) , together with the Institut de Mécanique Céleste et de Calcul des Éphémérides (IMCCE) and the Observatoire de Paris in France, as well as the Astronomical Institute of the Academy of Sciences of the Czech Republic . 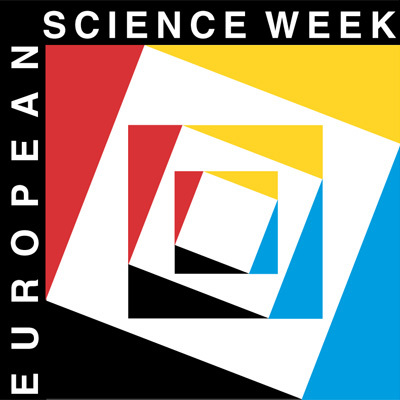 The VT-2004 programme was supported by the European Commission in the frame of the European Science Week 2004 . All interested parties were kept updated about the VT-2004 programme via the very comprehensive VT-2004 website. The last update was made at the end of December 2004 - see the last version. Look also at the VT-2004 Latest News to follow the development of this large-scale programme and its many results! Below you will find an overview of the most important sections of the VT-2004 website. Use the buttons on the left side of all these pages for easy navigation. The VT-2004 project invited active participation of all interested individuals (including teachers and their students, amateur astronomers, etc.) and educational institutions (planetariums, public observatories, science centres, etc.). It provided comprehensive information about the wide scientific, technical, social and historical aspects of this rare event. It also included specially conceived educational materials . It encouraged and coordinated the making of real-time measurements of one of the most fundamental astronomical parameters, the distance from the Earth to the Sun. It explained the relation of this event to a major front-line research area, the search for extra-solar planets by the transit method ; the only one which is likely to discover Earth-size planets and thus possibly, alien habitable worlds, in the years after the 2004 Venus Transit. It offered the opportunity to participate in an exiting Video Contest , the winners of which were invited to the VT-2004 Final Event that was held in November 2004 in Paris (France). The VT-2004 project promoted international collaboration throughout a large part of the world , by observing the same rare celestial event, debates via the web and adding local observational contributions to a large, common database. Live images from large solar telescopes and real-time feed-back via the web and the media contributed to make this an absolutely unique public event. The VT-2004 programme established a large, international network of educational institutions which are actively involved in the Venus Transit event. Some of these were designated National Nodes and made special efforts to promote the Venus Transit in their geographical region (country), also by provided information material in their own language(s). You and the Cosmic Distance Scale - how? The entire cosmic distance scale , stretching from our neighbourhood in the solar system to the remotest galaxies in the Universe, rests on the mean distance from the Earth to the Sun , also known as the Astronomical Unit (AU). By performing a rather simple observation, everybody who read the easy-to-comprehend instructions at this website were able to contribute actively to the measurement of this fundamental distance. VT-2004 thus provided a unique opportunity to participate in a great experiment, the VT-2004 Observing Campaign during which one of the first, accurate historical measurements of a distance beyond the Earth was re-enacted in public. Read more about the background and ideas for this ambitious programme, about the preparations and the observational methodss, as well as what happened on June 8, 2004 , during the event itself. The pages also explain how your measurements, together with those of many other people on three continents, were used to determine the distance to the Sun! We knew the correct answer - astronomers have already measured one Astronomical Unit to be exactly 149 597 870 691 metres with a precision of about 1 metre! But we did not know how close to this would be to the new value that was determined during this Venus Transit in 2004, nor how accurate it would be? In fact the results were truly astonishing, both in terms of the very large number of active participants and the excellent precision with which this distance was determined! A Venus Transit is like an (annular) solar eclipse , except that the angle subtended by the disk of Venus is much smaller than that of the Moon. Thus, during the transit Venus is seen as a small dark dot that moves across the solar disk. NEVER LOOK DIRECTLY AT THE SUN WITH UNPROTECTED EYES - THIS MAY CAUSE TOTAL BLINDNESS WITHIN SECONDS! ALWAYS BE SURE TO USE THE PROPER OPTICAL FILTERS TO PROTECT YOUR EYES. NEVER LOOK DIRECTLY THROUGH A TELESCOPE TOWARDS THE SUN, EVEN WITH FILTERS (ONLY PROFESSIONALS WELL VERSED IN THESE MATTERS MAY DO SO)! There was no danger if following the safety instructions . Nevertheless, for obvious reasons, the VT-2004 organizers had to decline all responsibility for any injuries that might have been caused by participation in this programme. Latest News - Here you may find information about the progress of the VT-2004 programme - everybody was invited to check this page regularly as the event approached! The Background - General information about the astronomical event and its historical aspects, related scientific, technological and sociological issues, etc. A place where the Venus Transit event on June 8, 2004, has been put into the full context and where you may learn all about the true significance of the Venus Transit and how the VT-2004 programme made it possible to participate actively! VT-2004 Network - the unique network of educational institutions and organisations that are associated with VT-2004 . Among them are amateur astronomy associations and clubs, public observatories, planetaria, science centres, etc. How to Participate - here you can read about how individuals and groups could join the VT-2004 Observing Campaign by performing observations of the Venus Transit on June 8, 2004, which preparations were necessary, etc. Observations - how are those measurements made? What do you have to watch out for to ensure that they are sufficiently accurate to provide a useful contribution to the overall goal of this project, i.e., to determine the distance to the Sun? Use of the observations - how would all the observations be used? How would they be compared and together provide a measure of the size of the Solar System? Day of the Transit - this area was useful in order to prepare for the event. Among the topics: what happens when on June 8, 2004? How will you be able to follow this unique celestial event in real-time? What will be the weather conditions in your area? Central Display - here it was possible to follow the event via the web and see the progress of Venus on the solar disc via webcam. The main display kept everybody informed about the results of the observations made by the participants. It was also possibloe to put questions to the scientists and receive answers in almost real-time. Photos - a very rich archive of over 600 photos related to the Venus Transit, obtained in different places. Animations - useful illustrations of the transit and the associated phenomena. Video Contest - all about the Video Contest! An Art Gallery - with over 400 drawings by mostly young people, related to the Venus transit! The May 2003 Mercury Transit - a Very Successful Rehearsal! The other inner planet of the solar system, Mercury, also traverses the face of the Sun from time to time, in fact much more often than Venus. But Mercury is much smaller than Venus and Mercury Transits are more difficult to observe. The Mercury Transit event on May 7, 2003, was a great success, with active participation of professional and amateur astronomers everywhere in the wide geographical area where this phenomenon could be seen. The weather was also very co-operative. The comprehensive ESO website was in high demand during the event, in particular the photos and the hotline . This site also includes a lot of useful background information, with special sheets for students and teachers in many different languages. This event became a real "rehearsal" for the Venus Transit and the "lessons learned" helped the organisers to set up the VT-2004 programme.